Our new Advanced Technology Tandy 200 portable computer does what no other computer could. It takes our amazing Model 100 one step further. A new 40 character by 16-line flip-up screen gives the Tandy 200 improved text and graphics. The 24K memory (expandable to 72K) is great for data storage and other big jobs, and the built-in Multiplan software makes the Tandy 200 a portable spreadsheet analysis tool. 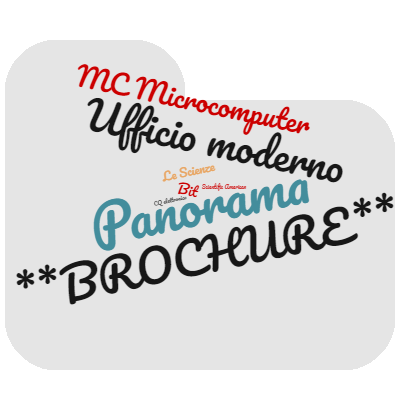 Five other "instant-on" programs include an improved version of the Model 100 word processor, a telecommunications program, a personal calendar and a telephone and appointment file. You can even write your own programs in BASIC. And the Tandy 200's tone-dialing feature lets you use long-distance tone services. 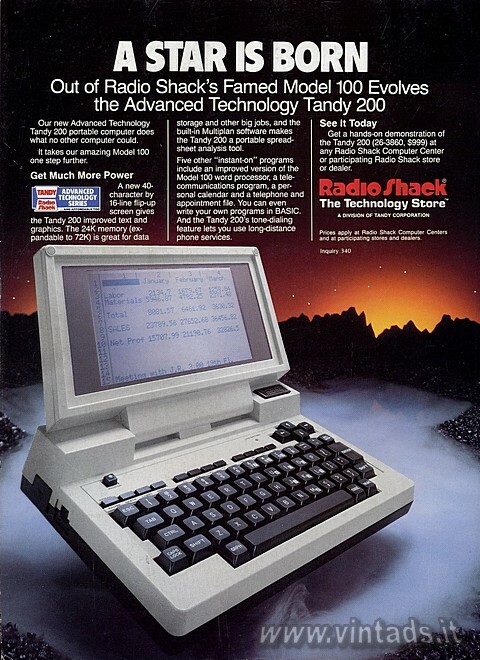 Get a hands-on demonstration of the Tandy 200 (26-3860, $999) at any Radio Shack Computer Center or participating Radio Shack store or dealer. Prices apply at Radio Shack Computer Centers and at participating stores and dealers.